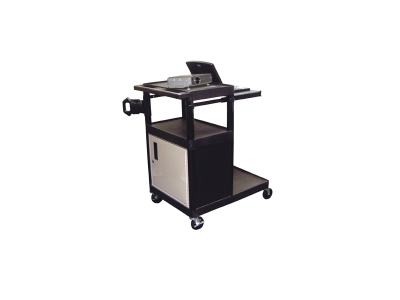 Multi-media presentation cart with locking steel cabinet. 3-outlet surge suppressing electric assembly. 4" casters, two with locking brake. Room for overhead or LCD projector and laptop computer. LT45PC 24"	 32"	 39 1/2"	 4"	 62 lbs.